Dave Parker has been busy upgrading a few Accurail 36-foot boxcar models, adding details to reflect specific prototype practices. Here’s Dave with the details. For fleet-building purposes, I like the Accurail shorties well enough but, when I considered seeing three or four of them strung together on a layout, I thought “boring!” Yes, there can be some variation in the trucks, and in the center-sill (straight vs fishbelly) but, when viewed broadside, they are otherwise identical. 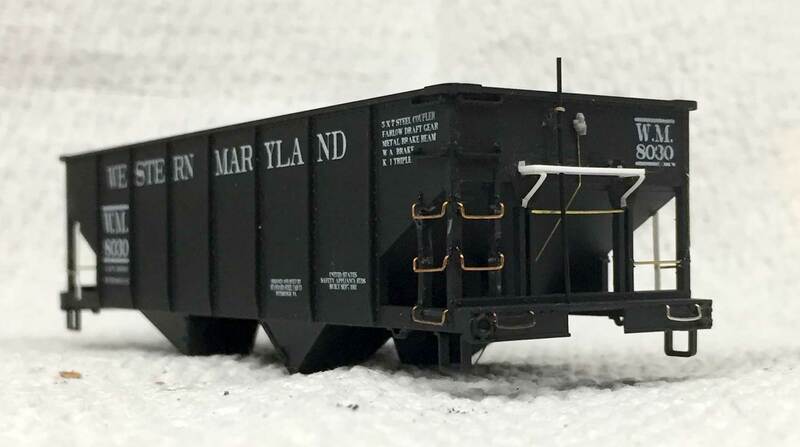 Ready-to-run freight cars have become common model railroad items over the last few decades. Few models have reflected prototypes that can be used for a mid-1920s focus. The lettering often follows a later practice. 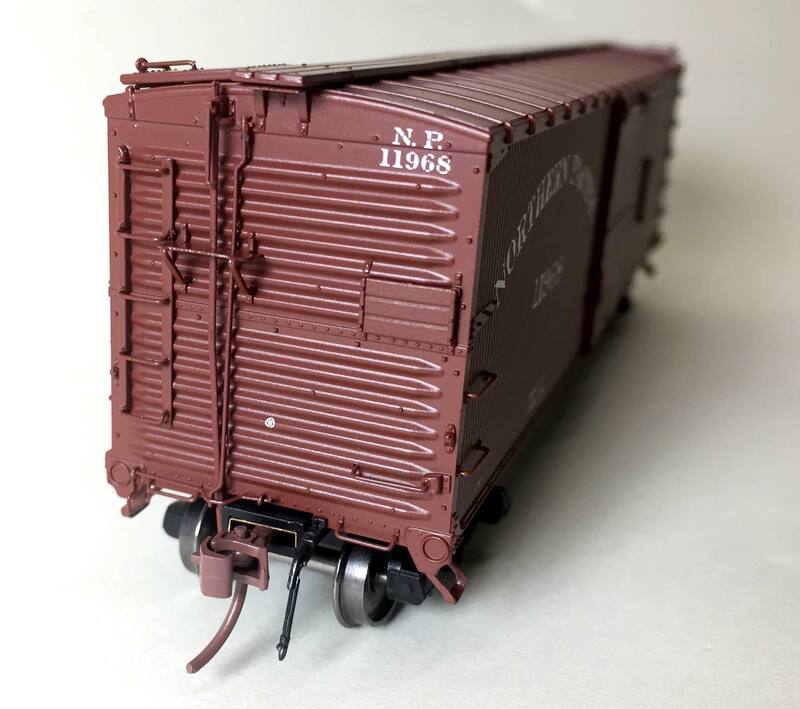 The Pre-War version of the new Rapido Trains Northern Pacific boxcar comes close to the mark but there are a few alterations required. I made the following adjustments while a new computer performed Windows Updates and software uploads. Last week I shared disappointment after completing an underframe and realizing a major error. The image is above and the KC brake system is on the wrong side of the centersill. It is pointed in the proper direction, jut not in the proper location. The daily schedule has been busier than usual and work has lagged on a few projects. I just added additional detail to the hopper featured in the last post. I met Jack Spencer in 2005 and he explained how he creates and installs details made from Mylar. I’ve wanted to experiment ever since. I figured this project would make a good introduction for Mylar brake platform bracing. The retainer valve and retainer line were added before the brake platform was installed. I need to install the KD brake components on the underframe next. A train needs couplers in order to stay together to move the freight down the rails. Our model trains need functioning couplers to successfully complete a similar task. People frequently ask me what couplers are used on the HO scale Wheeling Freight Terminal. Since I just replaced couplers on several models, it seemed like a moment to share in a blog post. Click on any image here to review a larger size.